The new Fiart Mare Epica 58 is uniquely defined by its windscreen integrated in the carboresin top. Fiart’s new flagship displays a great space optimization. Given its surface, what you get is lots of room on deck and sense of much large space than available. 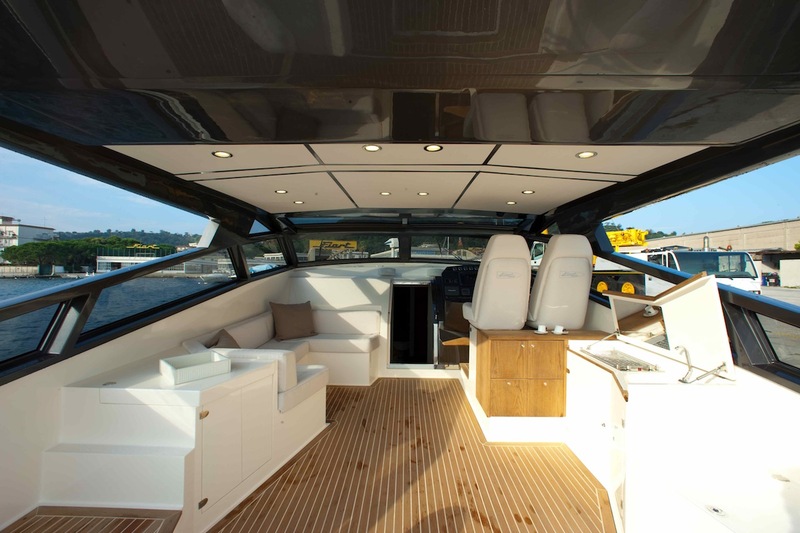 Owners can choose to separate the cockpit of the motor yacht by a sliding glass door. The outside offers a U-shaped couch, convertible into a sundeck or a table. The other area includes a driver’s seat with adjustable chairs, a sofa and a kitchen. 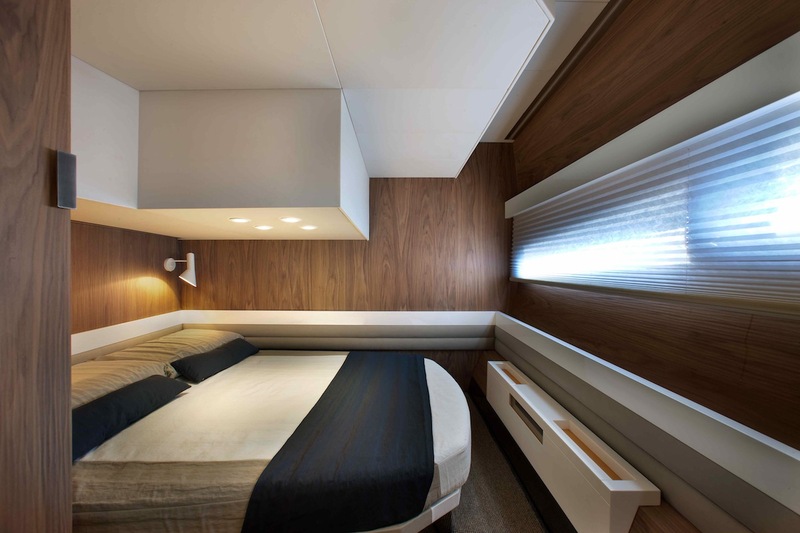 The Epica 58 interior layout has 3 double cabins with 3 en-suite bathrooms. 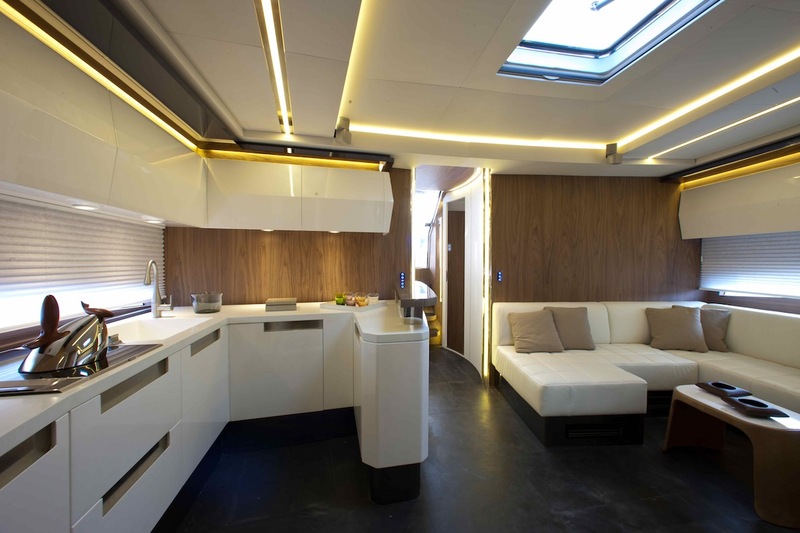 The master cabin has the bed head towards the centre of the boat, providing guests with more comfort and stability when anchored or under way. The sober and smart finish of the below deck shows its artisanal appeal, revealing all its elegance and coziness. 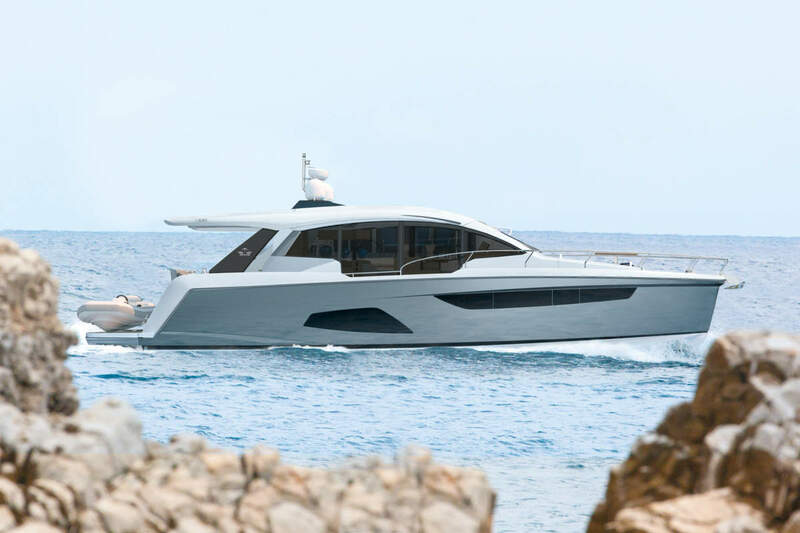 There is a sense of style and quality that would not be out of place on much larger craft and the simplistic design using warm materials give the Epica 58 a luxurious feel throughout. 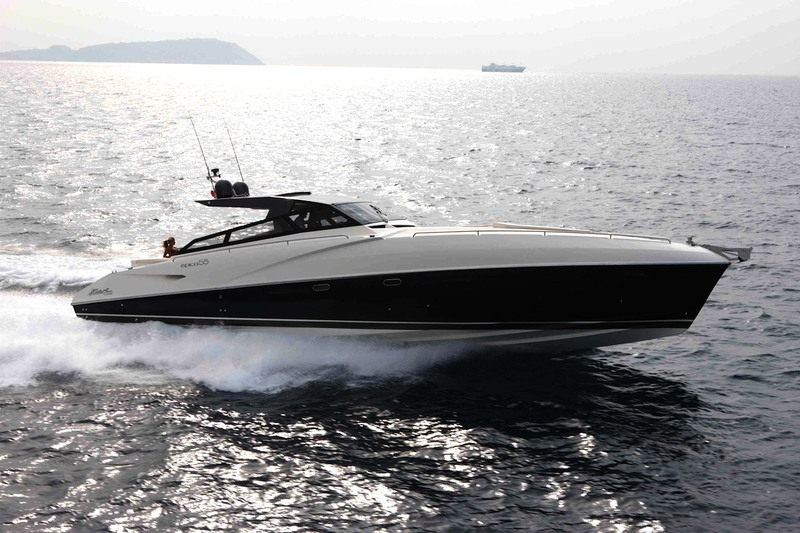 The Fiart Mare Epica 58 is powered by two Volvo Penta engines (IPS-900 with 700 HP each) and an accurately studied hull, ensuring performance, reliability and a low fuel consumption ensures speeds in excess of 30 knots. Great to see fiart mare expanding into the plus 50 market.